Cosmic Armchair nennt sich das Projekt aus Singapur, bestehend aus Cosmic Jane (vocals/keyboards) und Cosmic Ben (keyboards/production). 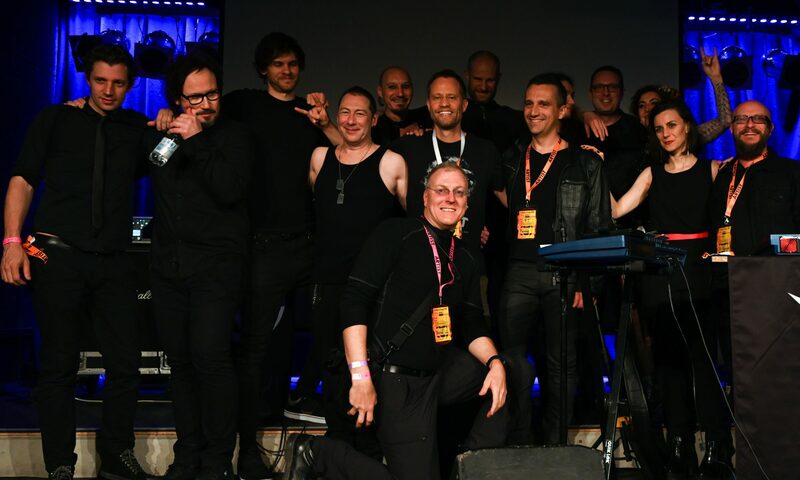 Sie haben Liveauftritte in Singapur, Thailand and Japan und veröffentlichen ihre Songs, EPs und Alben international beim Alfa Matrix label. Cosmic Armchair is a smooth synthpop duo based in Singapore, consisting of Cosmic Jane (vocals/keyboards) and Cosmic Ben (keyboards/production). They play gigs in Singapore, Thailand and Japan, and release songs, EPs and albums internationally under the Alfa Matrix label. Wenn es um Remixe geht, dann kennen Cosmic Armchair keinen globalen Grenzen, weshalb auch europäische Bands wie Mondtraume (ebenfalls Freunde von Synthetic Orange), Psy’Aviah, Lovelorn Dolls, SD-KRTR, and Totem Obscura ihre Electro Dance Pop songs abmischen. When it comes to remixes, global borders are no barrier to Cosmic Armchair, who have given their electro dance pop treatment to Mondtraume (also a friend of Synthetic Orange), Psy’Aviah, Lovelorn Dolls, SD-KRTR, and Totem Obscura.